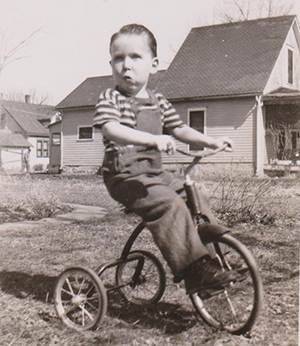 Jerry Bricker was already pedaling in 1945. I am an experienced group-ride leader who has led rides all over the Eastern Metro area for years. I am worn out fighting commuter traffic traveling up to Tempe or Chandler to meet up with friends for safe and social bike rides. I would very much like to make a few more friends and start a bicycle club here in Maricopa. It is much safer to ride with a group who will help and protect each other rather than risk the dangers of riding alone. The plan is to have a ride during the week for retired folks and stay-at-home youngsters, and weekend rides for everyone. They will be non-competitive “no-drop” road rides where all riders stay together so no one gets lost or left behind due to a flat tire or other problems. Distance and pace will depend on the ability, experience and stamina of participants who show up for a given ride. Some short, slow rides and some longer, faster rides. Helmets will be required for all riders. If interested in joining or you want more information, please contact Jerry at jlbrick@earthlink.net. 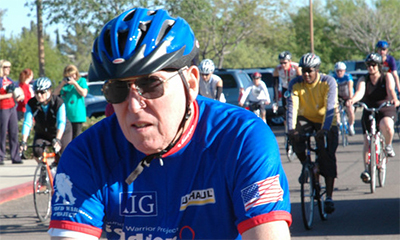 Jerry Bricker has been a resident of Maricopa for 29 years and is an avid bicycle rider.